As the many past and present books about it attest, marijuana is a subject rich in social, environmental, and political history. That's why it is strange - and perhaps a testament to the entrenched taboos of prohibition - that the history of marijuana has remained nearly untouched by professional historians. Journalists, botanists, legal scholars, and geographers have all weighed in on the subject, and many have produced valuable histories of a plant that we are still attempting to fully understand. Yet the only professional history of marijuana to-date has been Isaac Campos's Home Grown, about the introduction and prohibition of marijuana in Mexico. By writing Grass Roots, I am hoping to continue what Campos started, and perhaps show other professional historians that marijuana is a worthy topic crying out for useful historical analysis. 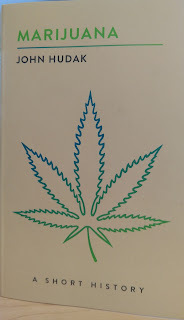 In the meantime, cannabis is such a popular and timely subject that there will no doubt be many books seeking to explain, or at least engage, its origins in the United States and the wider world. The most recent effort comes from John Hudak, a political scientist at the Brookings Institution. His Marijuana: A Short History (2016) is a fast-reading, pocket-sized guide to the plant's past in the United States. 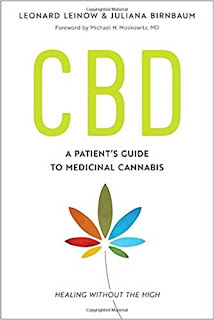 Hudak's book, like most current histories of cannabis, is aimed at the general public, and its clear and concise outlines of the plant's biology and spread across the country will help even those who know next to nothing about the plant quickly get up to speed. It is to Hudak's credit as a writer (and likely his editing team) that he is able to distill the wealth of research that went into this book into bite-sized, highly readable sections covering only the most essential information. Structurally, Hudak breaks up the book into separate sections on the political history of prohibition and the social and cultural forces that worked against it. As a historian, I found this annoying - culture and politics exist and work in tandem, after all - but I doubt Hudak's audience will care. Overall, Hudak provides just enough context in each section so that the reader does not feel like the plant's political and social history were detached. I also enjoyed Hudak's discussion of the Progressive movement alongside early twentieth-century efforts to regulate marijuana. This is exactly the kind of historical context modern readers need to understand the history of cannabis in the United States; it wasn't all about race and lies, as many of the popular marijuana histories assert. 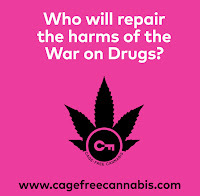 Rather, the federal government initially opted for a regulatory approach to cannabis drugs spearheaded by an array of Progressive-era experts from the agricultural, pharmaceutical, and medical fields. Of course, being a "short history," Hudak had little space to delve too deeply into historical context, which is one of the book's flaws. There is, for instance, little attempt to flesh out exactly what drove the counterculture to embrace marijuana (other than it was forbidden by the loathed government). History without appropriate context is history abridged - some might say blunted. Sure, useful facts and trends come through, but there is little of the deep understanding of a subject that comes with professional historical treatment. Another shortcoming in Hudak's short history is the lack of attention to environmental implications, especially in his discussion of present and future marijuana policy. 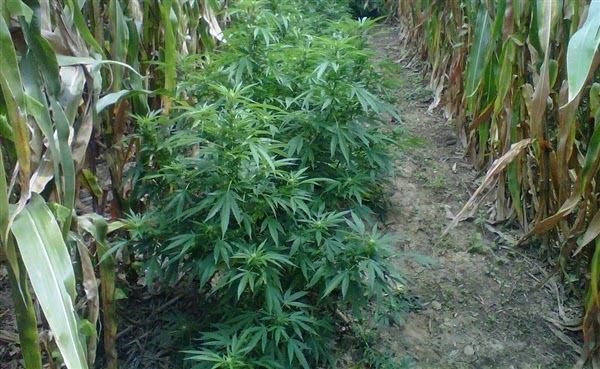 Hudak is clearly an adept political thinker who articulately raises legitimate concerns about market regulation and patchwork legalization efforts; yet he turns a blind eye to the energy, water, and chemical consumption of what is fundamentally a crop - a highly popular crop, as it is, that covers hundreds of thousands of acres. In addition, Hudak fails to mention how or why marijuana growing changed over time - a major piece of the plant's history that deserves at least a line or two in any cannabis history, however short. Despite these flaws, Marijuana: A Short History does what it sets out to do: provide a concise, accurate history of pot in the United States for anyone who wants to know about it. For its clarity, fact collection, and brevity, Hudak's book will likely be found on the desks of journalists, on politicians' bookshelves, and in think-tank libraries across the country. 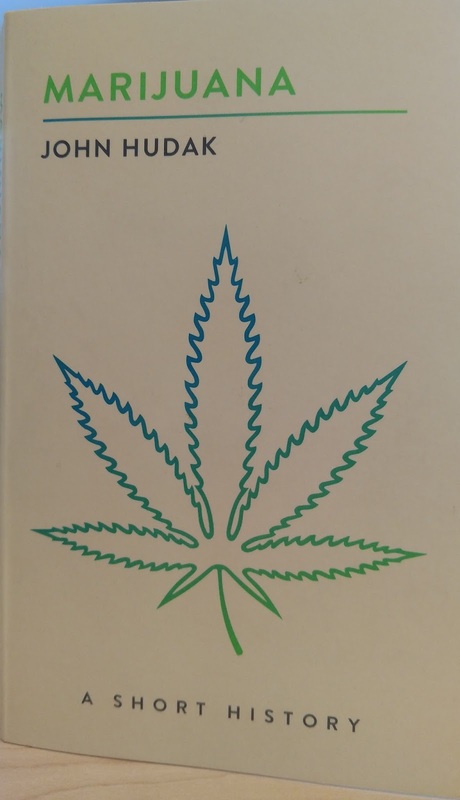 Indeed, because of Hudak's superb final section on current marijuana policy, I'd recommend Marijuana: A Short History over outdated guides such as Beau Kilmer et al. 's Marijuana Legalization: What Everyone Needs to Know (2012). And hopefully, Hudak's work will inspire professional historians to delve a bit deeper into the roots of marijuana in the United States.